Miller Building Services has built numerous commercial tenant finish spaces for a number of business located in Corporate Woods, chief among them being Stoltz Management and the McDonald’s Heartland offices. 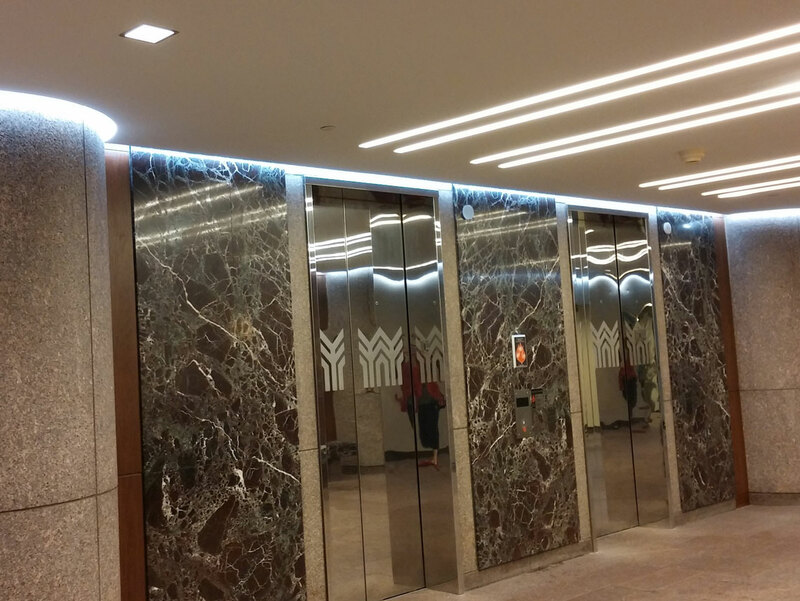 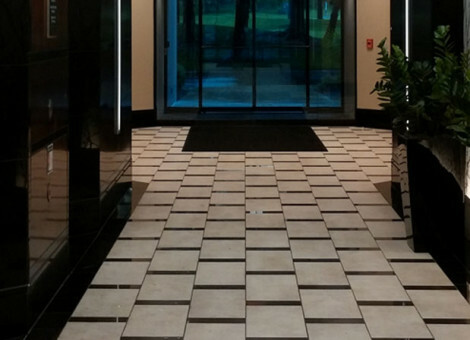 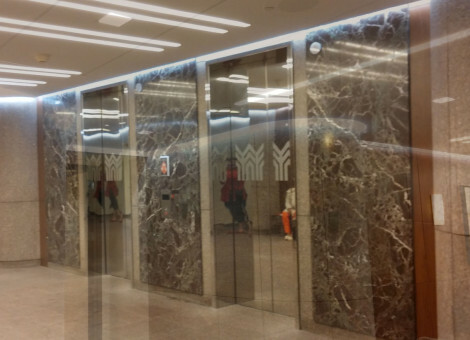 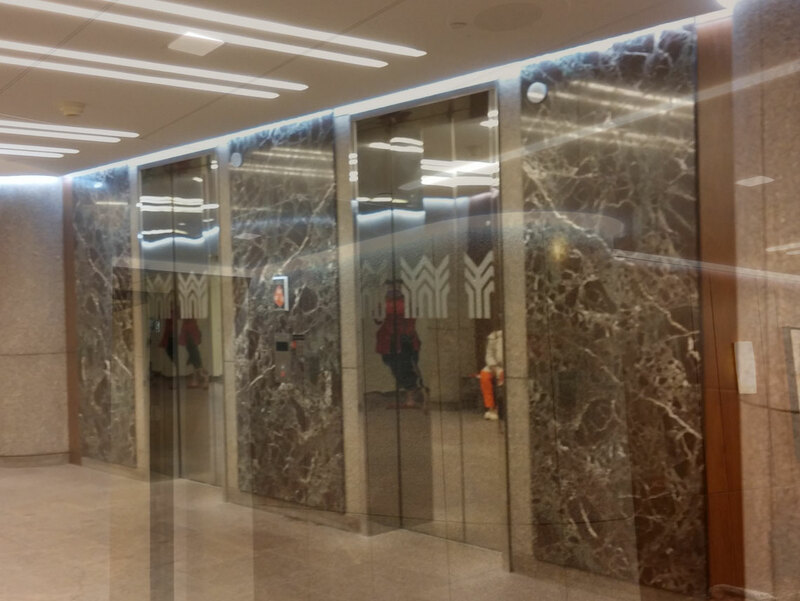 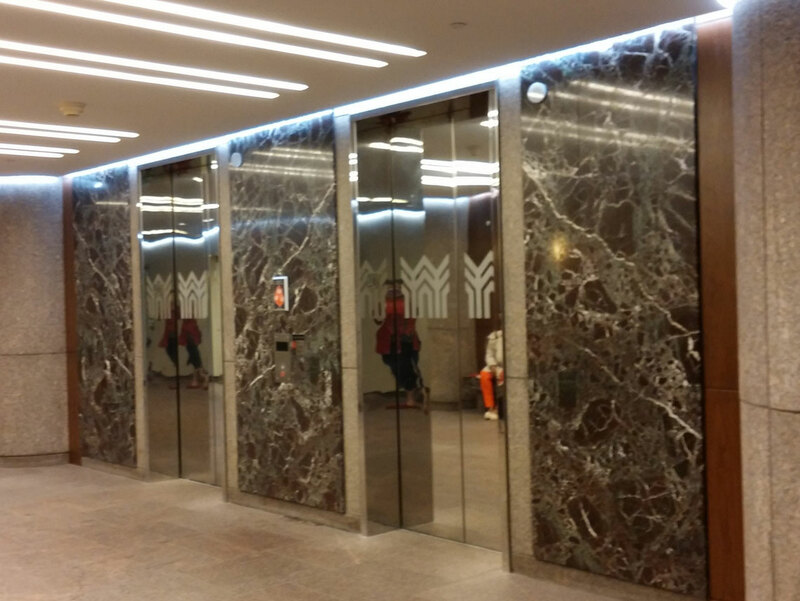 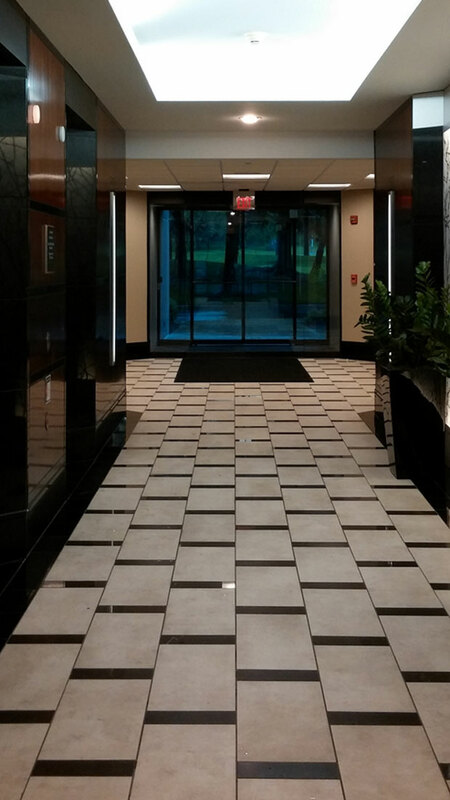 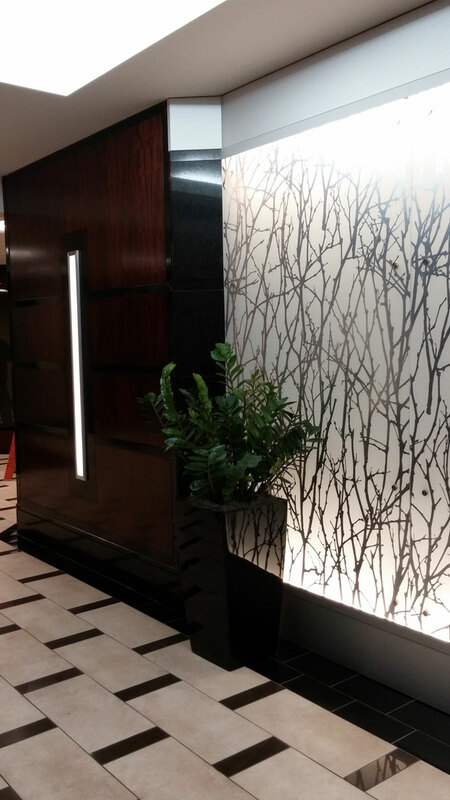 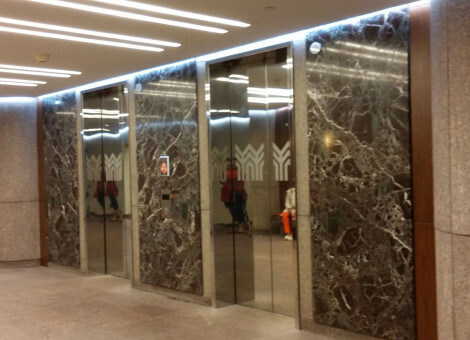 To highlight the beautiful marble columns and mirrored elevator doors of the entryway, we installed specialty LED tape lighting. 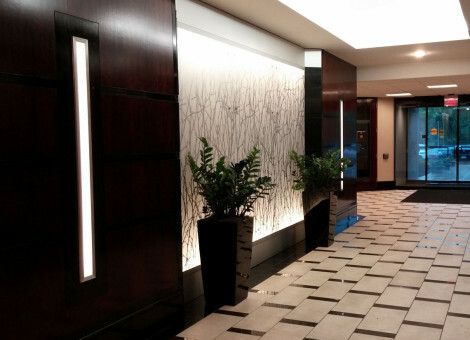 Additionally, we also laid down porcelain tile floor and long, recessed sconce lighting to complete the elegant effect of this regal-looking office space. 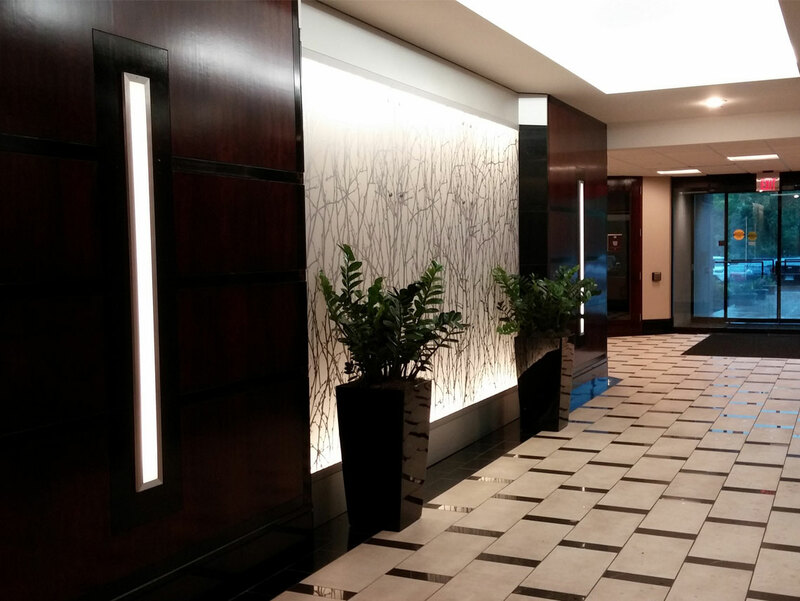 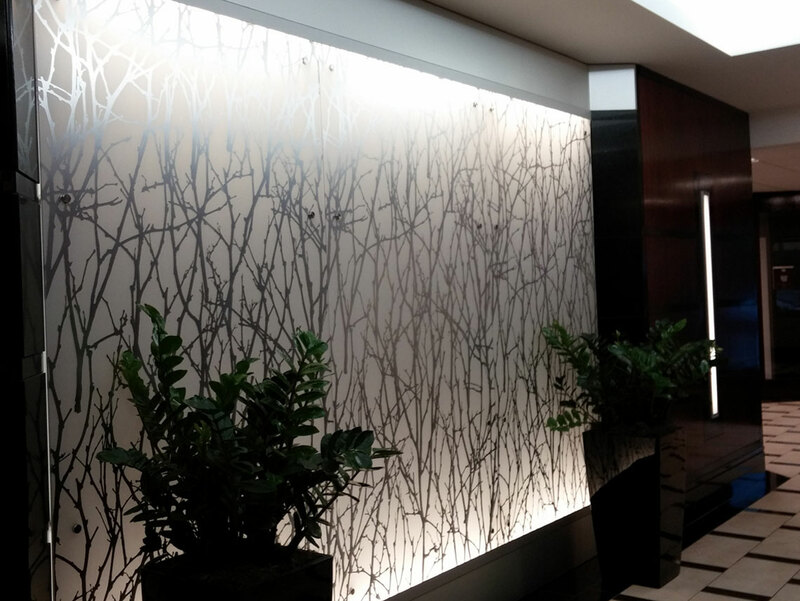 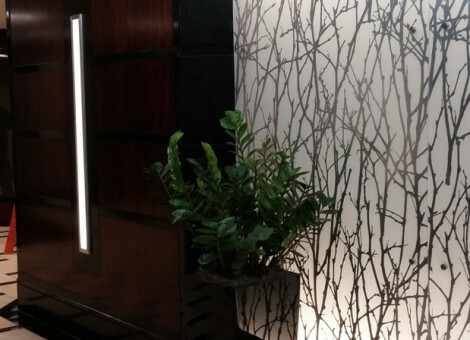 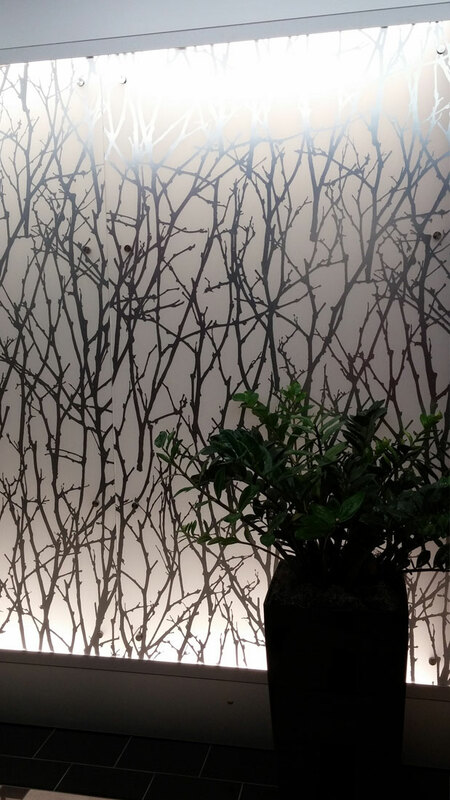 A highlight of this project was the design-built custom 3-M© acrylic panel with back-lighting. 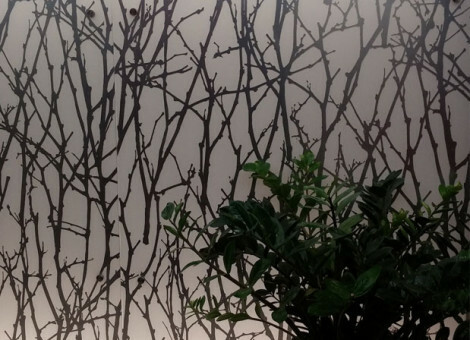 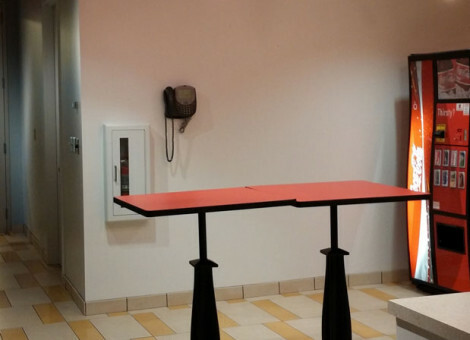 The designer had this great vision, yet had no idea how to achieve it. 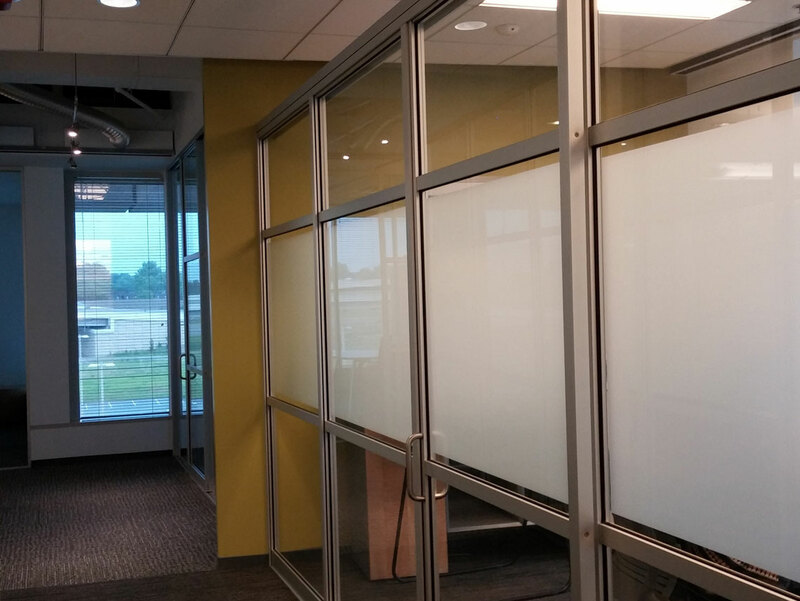 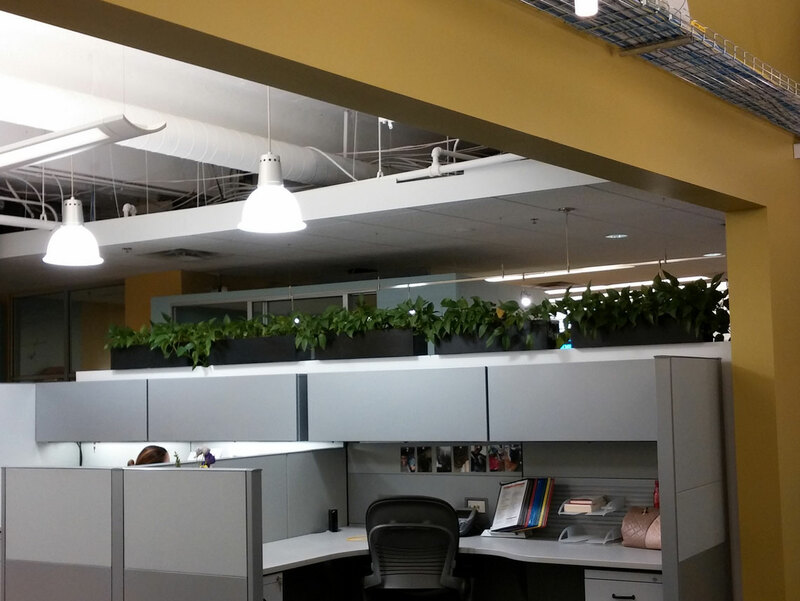 Thanks to our skilled workers, we made it a reality and Stoltz Management was elated with the finished project. 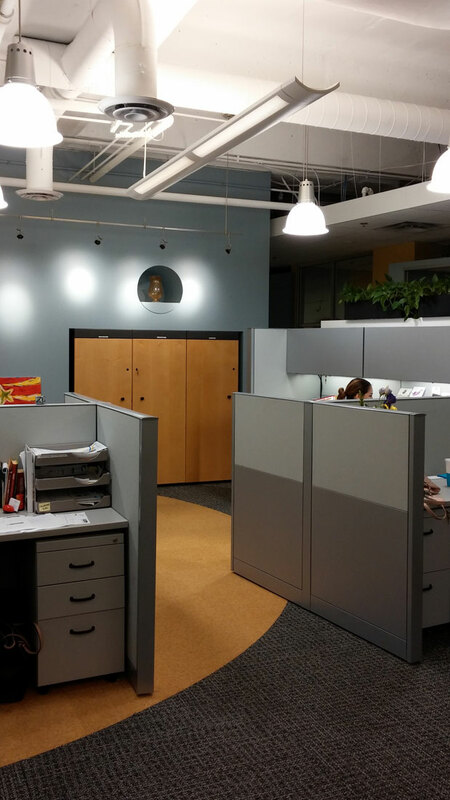 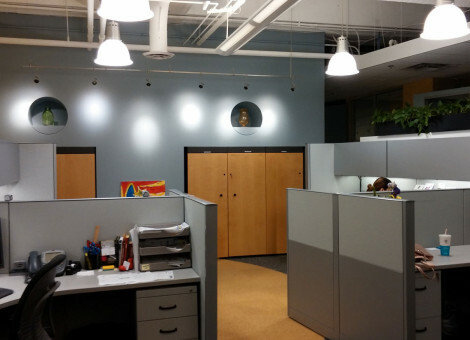 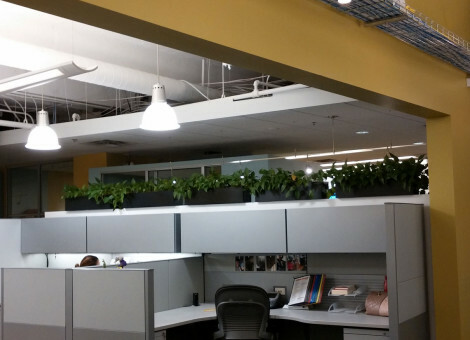 The McDonald’s Heartland Offices project was the perfect opportunity to create a bright and cheery office space for an international brand. 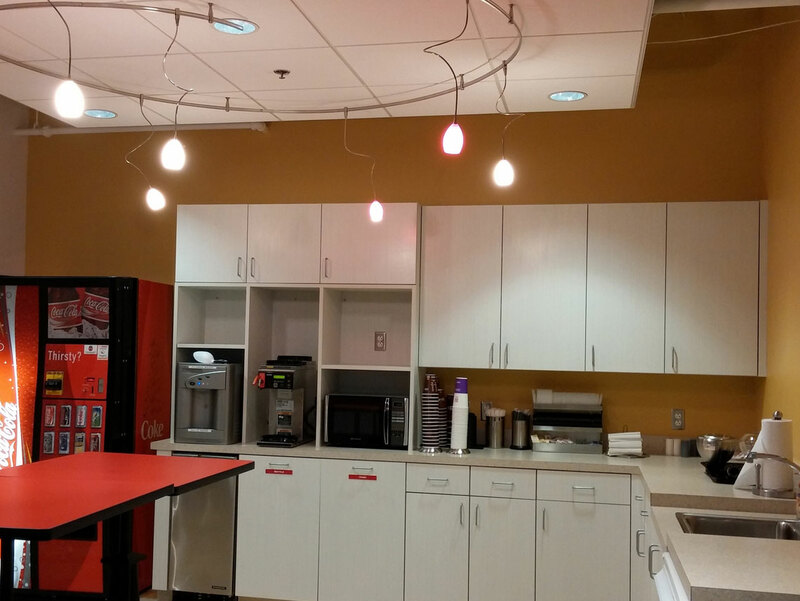 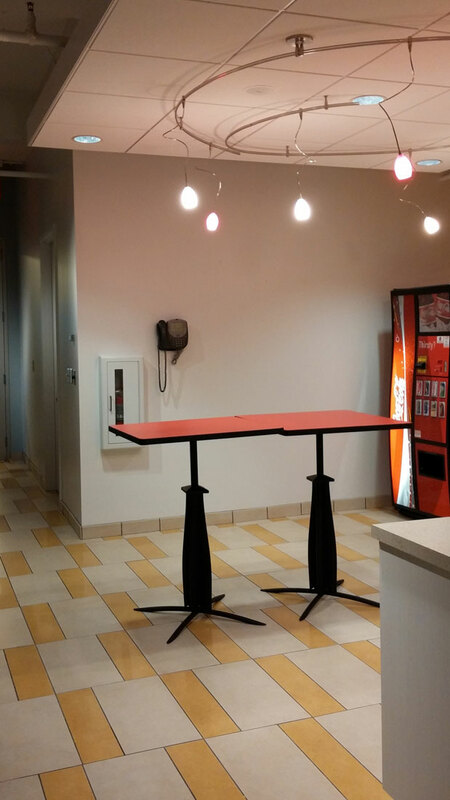 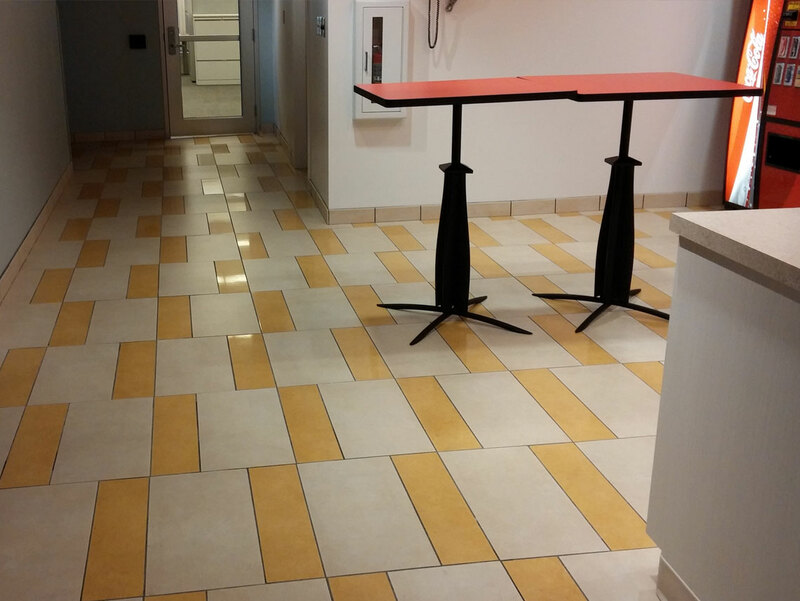 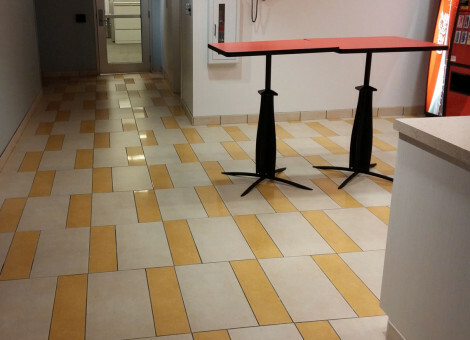 To reflect the brand, the break room features yellow and white ceramic tile floors and modern casework. 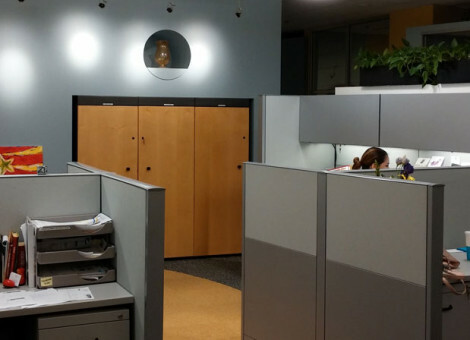 To foster growth and productivity, we built an open office area with pendent lighting and half-walls for maximum efficiency.